Me some friends and about 300 players of my guild are experiencing voice chat problems in general. /reloadui not solving, Traveling not solving, restartig ps4, game and router not working. You can find troubleshooting in the help articles below that can help with voice chat issues. 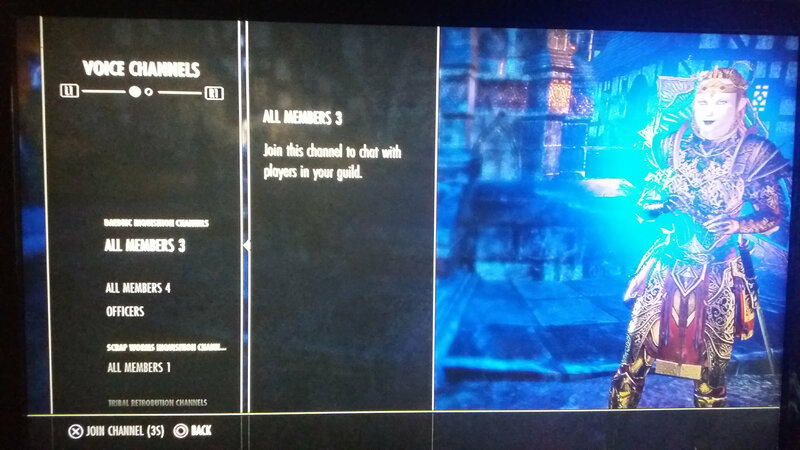 What do I do if I can't leave or join a voice channel in ESO? Why do I keep getting the "Voice chat is unavailable" message on Playstation 4? If neither of these articles help, please contact customer support for further assistance. @zos we won’t raise the issue and open a thread here if there’s just standard of not knowing how to open voice chat. We’re reporting something broken in your game about voice chat right now over a few weeks now since last small patch, we play every single day for hours, we know what’s right and what’s something broken. I've been without voice chat for two weeks. I normally main tank trials, so this is a huge problem that I believe needs immediate attention.